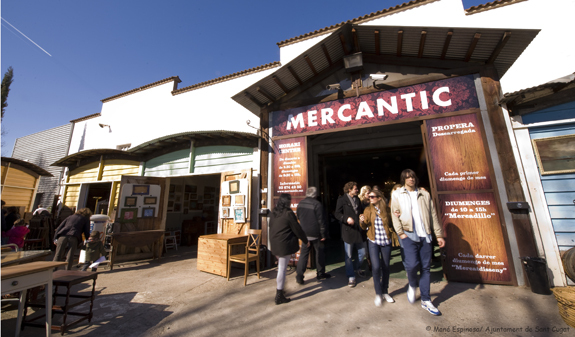 Come and discover the charms of Sant Cugat: the ancient Monastery, and enjoy shopping for vintage items at Mercantic, the town's famous second-hand market. Just 20 minutes away from Barcelona you'll find the town of Sant Cugat, steeped in history, and culture and the perfect place for a leisurely stroll. A tour of the ancient Benedictine monastery of Sant Cugat, built more than 1,200 years ago, with its church, and cloisters with 144 capitals which are all different, the Abbot's House and the remains of its walls. An e-bike trail through Collserola during which you'll be able to discover the old farmhouses, see the ancient pine, the Pi d'en Xandri, and enjoy impressive views of Montserrat. 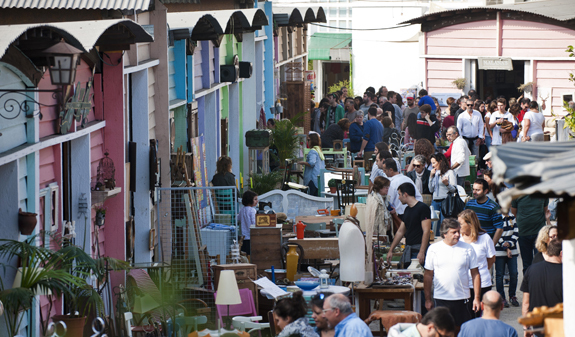 A vintage trail that will take you to Mercantic, a vintage village covering an area of more than 15,000 m2 where you'll find antiques, hand-crafted goods, food and leisure attractions. You'll be able to visit the El Siglo gallery which stocks more than 10,000 second-hand books, where you'll be able to have a drink and listen to music. 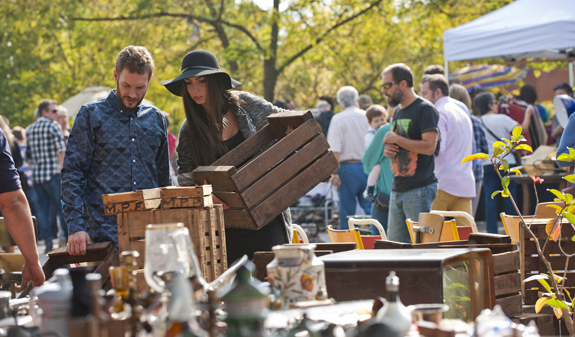 If you come on the first Sunday in the month, you'll be able to enjoy the Vintage Fest, with a whole host of activities and the latest products. 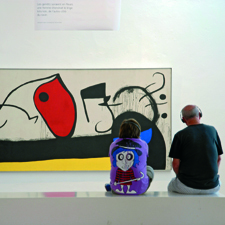 Come to Sant Cugat, and let yourself be captivated by its charms. 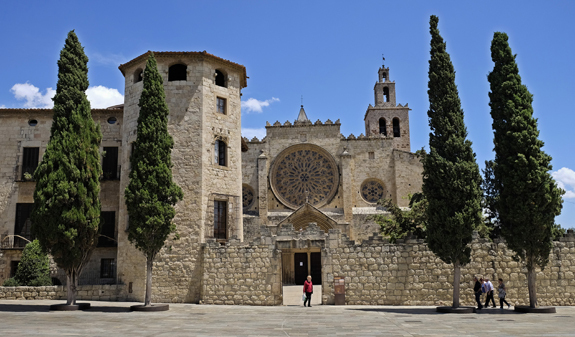 Admission to Sant Cugat Monastery and audioguide for children over 16 years. Admission to Mercantic and gift (at the information desk). E-bike hire with preloaded audioguide (minimun height 1,45m, or child seats). Admission to the monastery and audioguide hire for over 16s. E-bike activities: recommended start time 10am and 10.30am. Bikes must be returned before 8pm. 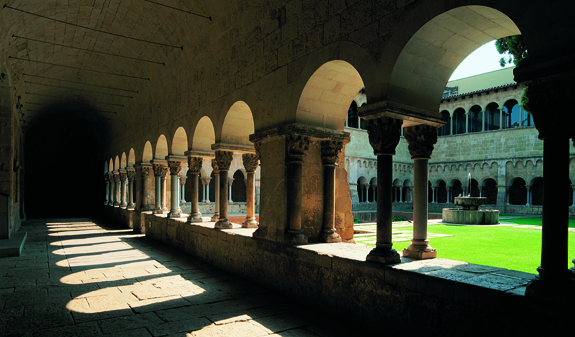 Visit to the cloisters: Tuesday to Saturday: 10.30am-1.30pm and 4pm-7pm. From 1st June to 30th September: 10.30am-1.30pm and 5pm-8pm. Sunday and public holidays 10.30am-2.30pm. Visit to the church: Tuesday to Sunday and public holidays: 9am-12 noon and 6pm-8pm. 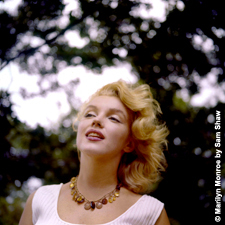 Mercantic-vintage village: Sundays and holidays: from 9am to 3pm. Closed: 25/12, 26/12, 1/1, 6/1 and 24/6. The Vintage Fest is held on the first Sunday of the month (4/2, 4/3, 1/4, 6/5, 3/6, 1/7, 5/8, 2/9, 7/10, 4/11 and 2/12). Languages: English, Catalan, Spanish, and French. Sant Cugat Monastery: plaça Octavià. Vaic: departure and end point of the e-bike tour is near Sant Cugat station; Vaic (e-bikes): Sant Bonaventura, 24. Bikes must be returned to plaça Lluís Millet, 13 (the square in front of the station, next to the Viena café). Catalan Rail (Ferrocarrils de la Generalitat de Catalunya - FGC); Lines S1, S2, S5, S55. Trains every 5 minutes from Barcelona (pl. Catalunya or Provença). Sant Cugat station. To get back to Barcelona if you have chosen the option walking tour, we recommend you catch the train at Volpelleres station, next to Mercantic. Car: AP-7 Sud Barcelona - Tarragona - Castellò - València. / AP- Nord Girona - França. / AP-2 Barcelona - Lleida - Saragossa. / C16, E9: Vallvidrera tunnels, direct to Barcelona in 10min. 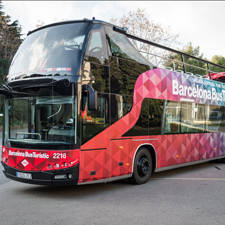 / By road you can cross the Collserola Natural Park by la Rabassada road and Vallvidrera road and arrive to Sant Cugat from Barcelona.